I always say there is no such thing as a perfect child and no such thing as a perfect parent. Boy, did I have one of those “I’m SO not proud of that!” imperfect parenting moments recently! We all know it’s not what we say, but how we say it and let’s just say, I was loud and not my usual kindhearted self! It worked, they came in immediately, but I felt terrible knowing I had treated them so disrespectfully – especially since I know better! They marched upstairs, visibly upset and did their thing. My regret quickly sunk in. In positive parenting, we see mistakes as valuable opportunities for learning and boy, did I learn a lesson. It’s not to say that I’ll never “flip my lid” again, but it certainly gave me time to pause and reflect. If I expect my kids to listen and cooperate, I need to model what listening looks and feels like. I need to remind myself that my kids have agendas of their own and we’re not always going to see eye to eye. It’s how I choose to handle these moments that I also model what respect looks and feels like. After taking my “calm down time,” I went upstairs and apologized for the way I behaved. I let them know that it wasn’t their fault that it had gotten late and that I hadn’t done a great job of keeping track of the time. I acknowledged how it wasn’t ok for me to speak to them so disrespectfully and that I was truly sorry. I went on to say that next time, I need to take my deep breaths, walk away or think before I speak; strategies we always talk about doing when any of us feel upset. I gave them each a big hug, told them I wasn’t proud of my behavior and that I need to learn from my mistakes. They hugged me back, told me, “It’s ok Mommy, we’re sorry too” and with that we moved on to a fun dinner, book reading, cuddles and bedtime. 1.) I would recognize that having the extra after school outing was ultimately my choice and take responsibility for the fact that it would make the rest of the night run late…and be ok with that! Along with this, I wouldn’t expect my kids to share my agenda. Going through the nightly routine isn’t something they look forward to! 2.) 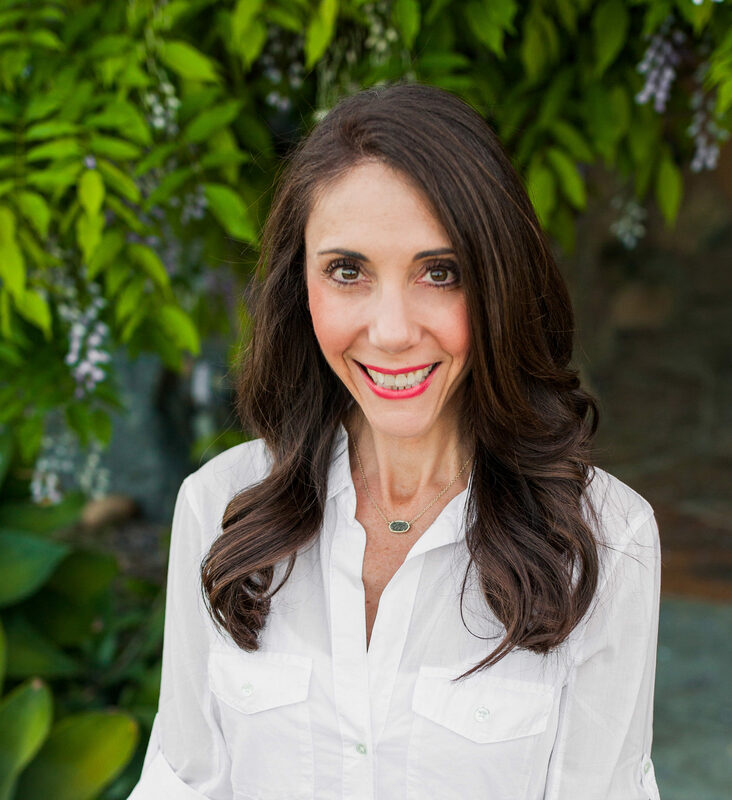 I would make agreements ahead of time – When my kids wanted to play outside before starting their routines, I could have made my expectations clear and made an agreement about how they could have their play time so long as they agreed to come in when I asked (and have them repeat this back to me so I was certain they understood). I would have also been more diligent about keeping track of the time – again, because our agendas weren’t matched up, it was on me to utilize my time management skills. 4.) I would recognize that yelling, nagging and lecturing may feel like it’s working in the short term, but it only creates more distance and defiance in the long term. Because there is no such thing as a perfect parent, we will all make mistakes. It’s part of being human and part of navigating the roller coaster ride we call parenting. It’s how we choose to handle those mistakes that we either continue the vicious cycle of power struggles or create opportunities for connection and compassion. The choice is ours – it starts with US! 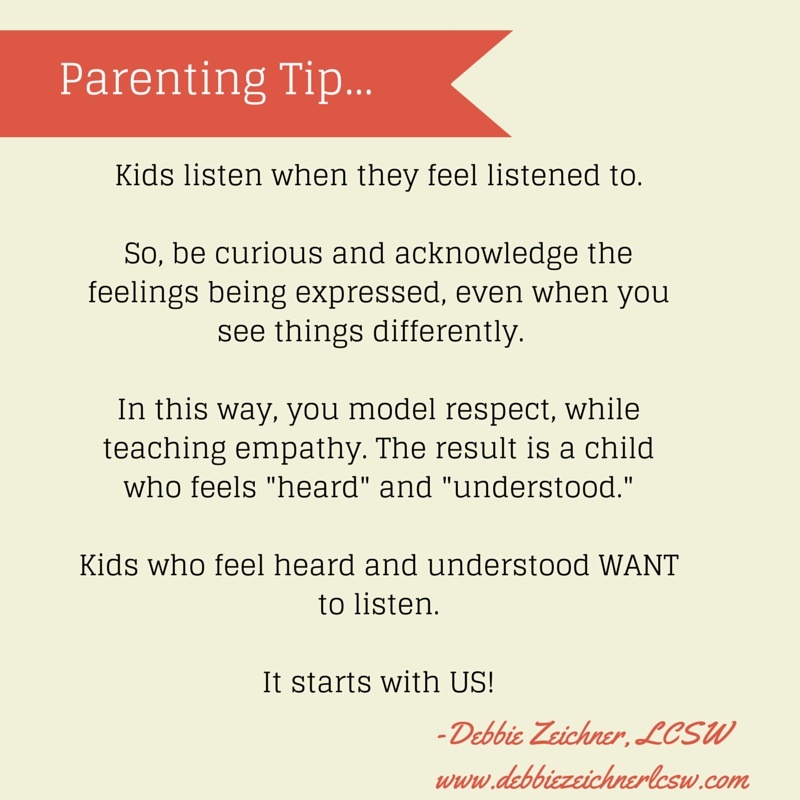 Parenting Tip: Kids Listen When They Feel Listened To! 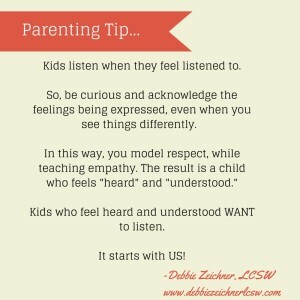 Posted in parenting | Comments Off on Parenting Tip: Kids Listen When They Feel Listened To!